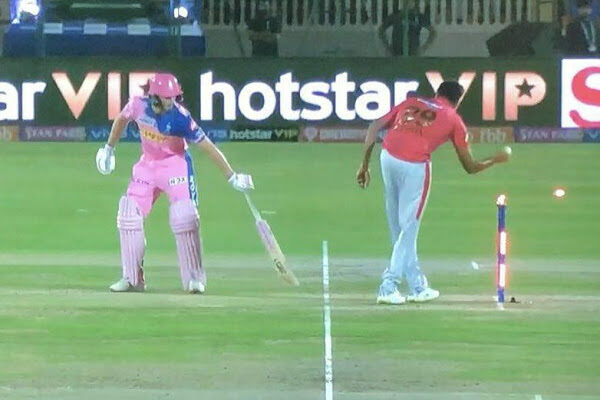 Netizens are still pretty busy debating as to the manner in which Kings XI Punjab skipper R Ashwin got the Rajasthan Royals batsman Jos Buttler out in the IPL match was correct or not. While social media is flooded with messages on this matter and it has been among the most trended topics in recent times, the contraceptive manufacturer Durex decided to come up with an advertisement for marketing its product using the IPL controversy as its base. In the ad, Durex has shown as to how its product can be of great help in stopping a person from making a wrong move and committing a mistake. 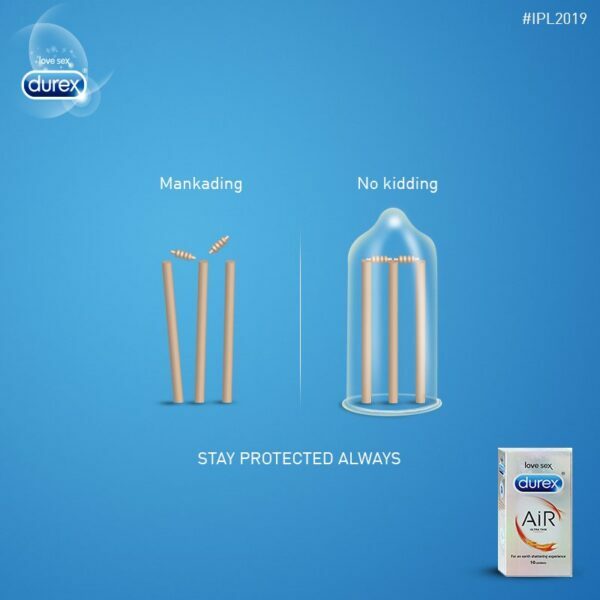 The image consists of two wickets, the bails of the first one are in the air due to mankading but the second one is protected by the Durex product. The whole controversy took place in the IPL match which was played between Rajasthan Royals and Kings XI Punjab. During the match when R Ashwin was bowling and Jos Buttler was on the non-striker end, Ashwin saw that Jos was leaving the crease even before the ball was being bowled. He used this opportunity to remove the bails and got Jos Buttler out. Since then, the cricketer’s fans are divided on the matter; some said that what Ashwin did was as per the law while several others felt that it was against the spirit of the game. This manner of getting batsman out is called mankading and we have to admit that Durex has used mankading for its benefit in a quite good manner. What do you say about Durex’s creativity? The post Durex At Its Creative Best Again, Promoted Brand Using Mankading Incident. The Tweet Is Bang On appeared first on RVCJ Media. Previous articleSinger Mika Singh Turns Good Samaritan For Actor Turned Security Guard Savi Sindhu.